Does Your Marketing Strategy Lack Vision? Home/Online Marketing/International Marketing/Does Your Marketing Strategy Lack Vision? A strong, successful marketing strategy isn’t built on clouds and fluff. It has a foundation, a base from which all ideas come from. Without this foundation, marketing strategies fail more often than not. This foundation is called “vision,” and it’s as important to your company as your bottom line is. What is “Vision” When Applied to Marketing Strategy? “Vision” is not a mission statement. 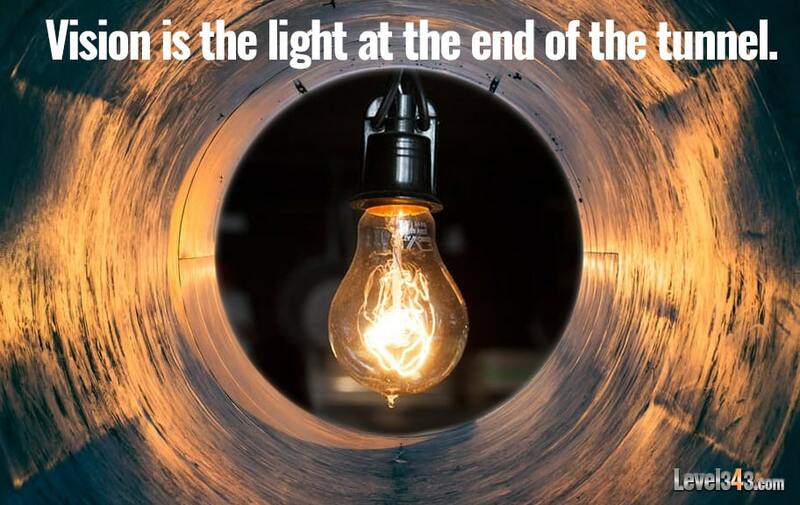 Rather, vision is the light at the end of the tunnel. It drives everything in a company (or should). Vision is the ideal future. It’s where you want your company to be in the future. Mission is the core purpose of the company and why it exists. Strategy is how you want to get to the future. Goals are specific areas to aim for to get to the future. Tactics are the individual tasks to get there. I thought he summed it up well and, although he says “organization,” we can just as easily substitute “marketing strategy” and have it fit as well. An attractive, worthwhile, achievable vision of the future, widely shared, can drive your marketing strategy toward long-range success. Let’s break that down into the important parts, because there’s a lot of exciting take aways in this one sentence. If someone put me on the spot and said, “Gabriella, what’s the most important part about vision?” I’d have to put “widely shared” first. No, not just because I’m a social butterfly. Time and again we’ve had clients come to us who had no idea what they wanted to achieve. We eventually find out that some higher-up has told our contact they want something done, but they haven’t been real forthcoming about what that “something” is. Not only is this a time waster, it’s also counterproductive. As well, we often have marketing strategies that include Pay Per Click, search engine optimization, content development and social marketing. In this situation, I’ve found that it’s incredibly important to make sure all parties know what we’re trying to achieve – what the end goal is. If even one department is left out of the loop, the marketing strategy can fail. Where do you want to take your company? What do you want out of this marketing strategy? Where do you want to be in ten, fifteen, twenty, even thirty years? Having the answer is a good start, but is the answer realistic? For example, we had a small business come to us that wanted to rank in the top three for “hearing aids.” Ambitious, yes. Realistic, not really. At least not in the time frame they wanted to work in. One of the problems with not being realistic, one among many, is this: if your employees and marketing agency can’t believe the end goal of your marketing strategy is attainable , it will fail. It’s another one of those mental phenomena. If we don’t believe it, we psych ourselves out. A vision is focused in the future. It’s not about where you are now. It’s where you want to be at the end of it all, once the marketing strategy has been implemented. What’s the glowing picture? What does your vision for the company look like at the end? The right vision is a powerful tool. Shared amongst employees and your marketing agency, it has the power to pull an entire marketing strategy together from conception to implementation to the final sale. Remember, marketing isn’t about the product and end sale only, because you want repeat sales. Therefore, it’s about the entire experience. All of the above can come from having the right vision and sharing it with your company. It gives everyone – from the ad developers to the customer service representatives – the feeling that they’re part of something better. Something bigger than themselves. They’re part of a team, committed to the same vision. “Vision,” whether it’s for your company as a whole or limited in scope to a single marketing strategy, is the first step to success. It’s so important, in fact, that if your marketing strategies are failing, it’s less because of the industry and more because of the lack of vision. By creating marketing strategies without a vision, you’re reaching towards a goal you have already attained. 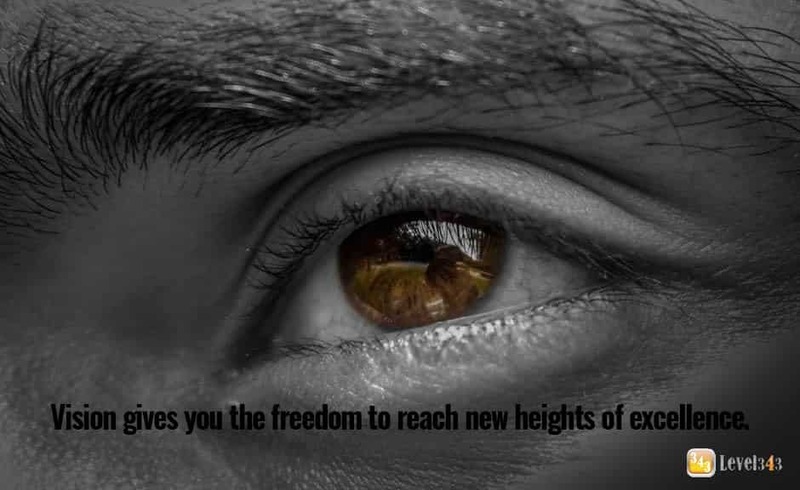 Vision gives you the freedom to reach new heights of excellence. 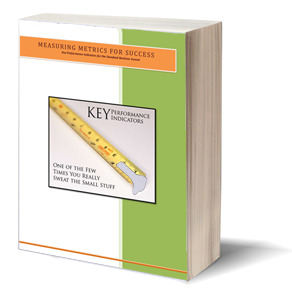 It’s the lifeblood of your company, your marketing strategies, and your success.